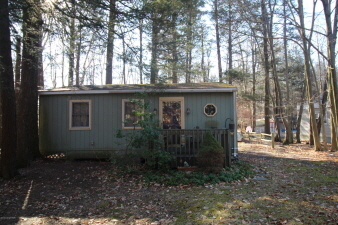 This 2 bedroom 1 bathroom ranch home is located in amenity filled Holiday Pocono. This cozy cabin features an open concept kitchen/dining room, living room and a nice sized bathroom. Enjoy nature on the rear deck or while sitting around the fire pit. Located in a community with a swimming lake/beach, fishing lake, gun range, playgrounds and close to all the year round activities in the Poconos!